wipEout® PULSE, available exclusively for PSP® (PlayStation®Portable). Developed by award-winning Sony Computer Entertainment’s WWS Liverpool Studios, wipEout PULSE takes the series to an all-new level by offering players customizable ships, challenging new tracks and gameplay features, and a robust online feature set. 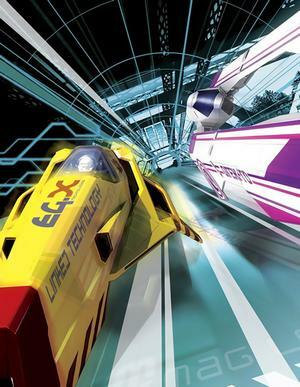 Since its inception in 1995, the multi-million unit selling wipEout® franchise has had a long and storied career with numerous sequels across multiple PlayStation® platforms worldwide, while offering up a truly unique racing experience. Building on its history,wipEout PULSE now takes players to the year 2207 to compete in the FX400 Anti-Gravity Racing League, where players will join one of eight EG-V teams and have the opportunity to launch on to up to 12 reversible tracks staged in various locations around a cohesive world. Offering seven diversified modes of play, wipEout PULSE includes Single Race, Tournament, Time Trial, Speed Lap, Zone Mode, Elimination and Head-2-Head. But to experience anti-gravity combat racing to its fullest, the title also provides the ability for up to four players to go head-to-head in Ad-Hoc Mode and up to eight players utilizing Infrastructure Mode. Additionally, at the end of each race, players can capture their win with the new Photo Mode feature, and upload a snapshot to show the world on http://www.wipeout-game.com/. In addition to sharing photos, players can access the wipEout PULSE website to check their stats and leader boards, or use the ship customization tool to individualize their crafts. And as with other iterations in the series, wipEout PULSE also features a soundtrack from cutting-edge artists including Mason, Loco Dice, Stanton Warriors and Kraftwerk.